Home Banking Law So, You Think You've Been Scammed? So, You Think You've Been Scammed? Unable to log into your mobile banking, even though you are positive that you are using the correct login details? If this is the case, then you need to contact your bank about it as soon as possible - it sounds like they might have locked your account because of suspicious behavior. Hopefully, they got there before the scammers were able to take any of your money! But what if you do end up being scammed out of a hefty sum of money? It can be a very scary time indeed but no matter how much you panic, it’s important you try and keep a level head so that you can work your way through these steps to get your cash back. First of all, if you don’t think that your bank is aware of what has been going on, then you should get in touch with them right away. They will be able to put a hold on your account so that no one can access it or transfer any cash. Bear in mind that you should always contact your bank about scams by ringing the number on the back of your debit or credit card. Never use a phone number you receive in a random email as this could be another scam. Next, you will need to file a report with your local police. They will want to know how the thief stole the money. For instance, did they trick you into transferring it to them, or did they somehow hack your bank account? Once you have filed a report, you will usually need to take it to your bank so that they can make a copy for their records. If the police find out who took your money and the case ends up going to court, you will need to find a lawyer to take care of your side of the case. Ideally, speak to Barfoot and Schoettker, LLC or another company who specialize in criminal law, as these firms will be well prepared to take on these kinds of cases. Your lawyer will need as much evidence from you as possible so that there is as much chance of possible of bringing the criminal to justice and you can then get your money back! Do you think that the scammers still hold lots of your banking information? Or maybe they might still have a copy of your card? If this is the case, then you should seriously think about a security freeze on your assets. When this is in place, anyone who tries to take out a loan or open a bank account in your name will be asked to enter your pin. 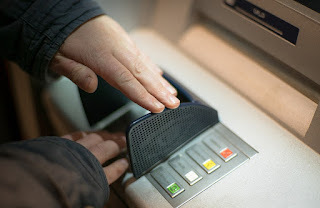 Without the pin, the scammer will effectively be frozen out of using your assets. Finding out that you have been scammed really isn’t what you want at all. But as long as you follow all the above steps, you should be able to catch the conman and get your money back!